How Does Menopause Affect Women With MS? Symptoms of menopause and MS may overlap, but it’s unclear whether menopause worsens MS-related disability. Although menopause occurs in every woman who lives long enough, very little research has been done on its effects on women with multiple sclerosis (MS). The studies that have been conducted suggest that menopause may be linked to worsened MS symptoms in some women, but larger studies are needed to confirm that association. Riley Bove, MD, assistant professor of neurology at the University of California San Francisco School of Medicine, is one of only a handful of researchers, including her colleagues and collaborators at Brigham and Women’s Hospital in Boston, who investigate menopause and MS. According to Dr. Bove, the impact of menopause is highly variable for all women and depends on the individual. For women with MS, menopause can be associated with all of these life changes and symptoms — and possibly worsened MS symptoms as well. To explore the impact of menopause on MS symptoms, Bove and her colleagues surveyed 513 women with MS using an online research platform. Of those women, 53 percent were postmenopausal. Those who'd had surgically-induced menopause (removal of the ovaries) reported having more severe MS symptoms than the premenopausal women or the women who'd gone through menopause naturally. Surgical menopause happened at a younger age than natural menopause and was associated with higher rates of hormone replacement therapy. The results of the survey were published in January 2015 in Multiple Sclerosis and Related Disorders. In another of Bove’s studies, published in June 2016 in the Multiple Sclerosis journal, 124 women with MS were followed for an average of 10 years as they transitioned through menopause. Participants’ MS symptoms were measured by the Expanded Disability Status Scale (EDSS), a method neurologists use to assess the severity of MS. For the most part, menopause did not appear to have a large effect on MS symptoms. Identifying which symptoms are due to MS and which are a consequence of menopause can sometimes be challenging. This distinction is important, however, when deciding on treatment. A new MS symptom might call for a change in a woman’s MS treatment plan, while a symptom of menopause might call for lifestyle changes, hormone therapy, or some other type of drug treatment. A new symptom may also be related to something else, such as aging or lack of fitness, and not caused by MS or menopause at all. 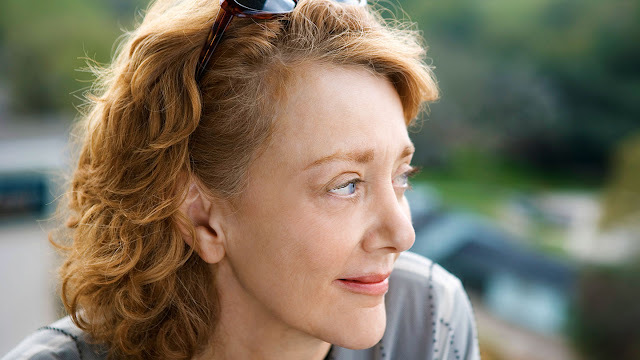 One possible reason MS symptoms worsen after menopause is the decline in estrogen that occurs around this time of life. The major form of estrogen found in women during their reproductive years is estradiol. Levels of estradiol fluctuate during perimenopause (the period leading up to menopause) and decrease after menopause. Changes in estradiol levels could affect the nervous system or have an impact on the inflammation and immune system activity that causes myelin loss in multiple sclerosis. In fact, researchers are studying estriol, another form of estrogen that's secreted in large amounts by the placenta during pregnancy, as a potential treatment for relapsing-remitting MS.
“Hormones, including estrogens, can play separate roles in the immune/inflammatory part of MS — which includes relapses and new lesions or spots seen on MRIs — and in the neurodegenerative part, including brain volume loss and accumulation of disability,” says Bove. The median age at natural menopause in women with MS is about 51, according to Bove’s research — the same as for women in the general population. Women who experience symptoms related to menopause or MS, such as bladder problems, hot flashes, insomnia, or fatigue, should speak with their healthcare provider about the potentially additive impact of menopause and MS.